for its role in inflammation and pain. Stem cell researchers at Harvard have come up with a new theory on how stem cells decide whether to become liver or pancreatic cells during development. A cell's fate, the researchers found, is determined by the nearby presence of prostaglandin E2, a messenger molecule best known for its role in inflammation and pain. The discovery, published in the latest issue of Developmental Cell, could potentially make liver and pancreas cells easier to generate both in the lab and for future cell therapies. Wolfram Goessling, MD, PhD, and Trista North, PhD, both principal faculty members of the Harvard Stem Cell Institute (HSCI), identified a gradient of prostaglandin E2 in the region of zebrafish embryos where stem cells differentiate into the internal organs. Experiments conducted by postdoctoral fellow Sahar Nissim, MD, PhD, in the Goessling lab showed how liver-or-pancreas-fated stem cells have specific receptors on their membranes to detect the amount of prostaglandin E2 hormone present and coerce the cell into differentiating into a specific organ type. 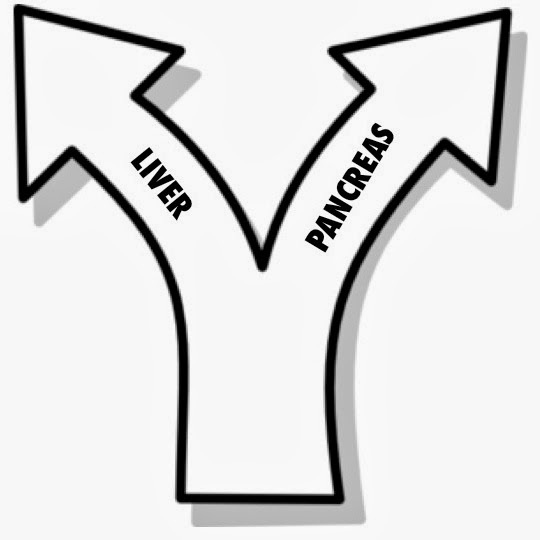 "Cells that see more prostaglandin become liver and the cells that see less prostaglandin become pancreas. This is the first time that prostaglandin is being reported as a factor that can lead this fate switch and essentially instruct what kind of identity a cell is going to be." said Goessling, a Harvard Medical School Assistant Professor of Medicine at Brigham and Women's Hospital and Dana-Farber Cancer Institute. The researchers next collaborated with the laboratory of HSCI Affiliated Faculty member Richard Maas, MD, PhD, Director of the Genetics Division at Brigham and Women's Hospital, to see whether prostaglandin E2 has a similar function in mammals. Richard Sherwood, PhD, a former graduate student of HSCI Co-director Doug Melton, was successfully able to instruct mouse stem cells to become either liver or pancreas cells by exposing them to different amounts of the hormone. Other experiments showed that prostaglandin E2 could also enhance liver growth and regeneration of liver cells. Goessling and his research partner North, a Harvard Medical School Assistant Professor of Pathology at Beth Israel Deaconess Hospital, first became intrigued by prostaglandin E2 in 2005, as postdoctoral fellows in the lab of HSCI Executive Committee Chair Leonard Zon, MD. It caught their attention during a chemical screen exposing 2,500 known drugs to zebrafish embryos to find any that could amplify blood stem cell populations. Prostaglandin E2 was the most successful hit, the first molecule discovered in any system to have such an effect, and recently successfully completed Phase 1b clinical trials as a therapeutic to improve cord blood transplants. "Prostaglandin might be a master regulator of cell growth in different organs. It's used in cord blood, as we have shown, it works in the liver, and who knows what other organs might be affected by it." said Goessling. 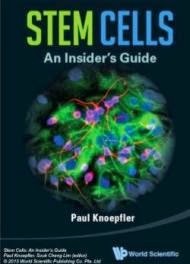 With evidence of how prostaglandin E2 works in the liver, the researchers next want to calibrate how it can be used in the laboratory to instruct induced pluripotent stem cells, specialised cells that have been reverted into a stem-like state, to become liver or pancreas cells. The scientists predict that such a protocol could benefit patients who need liver cells for transplantation or who have had organ injury. The research was supported by the Harvard Stem Cell Institute, the National Pancreas Foundation, the National Institutes of Health, and the Pew Charitable Trusts.